Sartrex has also been engaged in reverse engineering and obsolescence tackling of equipment for many years. Obsolete components are a major roadblock to any business wishing not to replace an entire design based on newer untested replacement. The team at Sartrex uses its vast business network and in house human capital to create a design that integrates non obsolete replacements into an old design while maintaining full form, fit and function. The Sartrex Poison Tank Ball Position Detector uses a photoconductive cell detection system to monitor the level of fluid in liquid poison tanks of the Liquid Injection Shutdown System. The tanks contain high purity, oxygen tree heavy water that is light straw in colour. Two light emitting diodes are screwed into the sides of the tanks, directly opposite each other. Normally a polyethylene ball, floating on the fluid, blocks the optical link between the two units. If the ball drops low enough, the photo-transistor in unit two sees the radiant output from unit one and triggers the alarm. A power failure can also trigger the alarm condition. 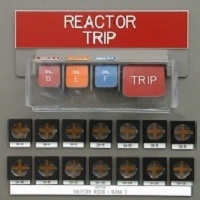 The Sartrex Reactor Trip Switch is one of the most critical elements in the CANDU Main Control Room system. It provides for a manual shutdown for the reactor in a controlled fashion. The operator may shut down one of each of the channels at a time or select the ‘Trip’ function to shut down all channels at once. The majority of the trip functions are automatic being generated by the safety shutdown system and this switch is the main means of a manual trip or shutdown. The Sartrex Reactor Trip Switch is an excellent example of the company’s reverse engineering expertise. Sartrex designed this switch in response to a direct customer requirement for a high quality replacement for obsolete field units. Over time, the switch has become the standard for new OEM control panel systems. 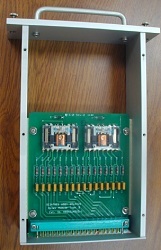 The Sartrex Type II Relay modules are an excellent example of the Reverse Engineering capabilities ofthe company. Our engineering group, in conjunction with the utilities expended a large amount of time and resources to evaluate obsolete modules and develop a replacement module. 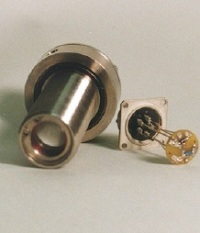 The replacement Type II module features the same form, fit and function of the originally installed units. 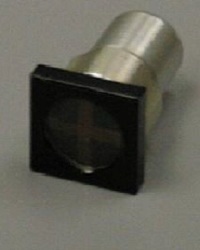 The design incorporates a diode protection circuit at each input. In addition, the output circuit incorporates an RC network to ensure the relay outputs are protected against current surges from the load. This series of modules are designed, qualified and manufactured to our ISO 9001 and CSA Z299 Quality Assurance programs. During the manufacturing process, our Quality Assurance staff monitors the assembly at key hold points. 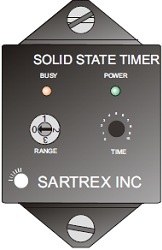 The Sartrex Solid State Timer is a pin-compatible replacement for the obsolete Agastat 91xx series timer used in control applications. This is a custom designed unit with the same form fit and function as the original unit. Its current configuration with the timer mounted on an octal plug makes this the standard replacement for the Agastat timer for CANDU applications. 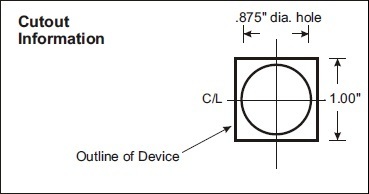 These applications include performing critical timing functions within the Safety Shutdown and other systems. Stringent testing during the Sartrex Acceptance Test assures the customers that the unit will meet all timing specifications for critical applications.